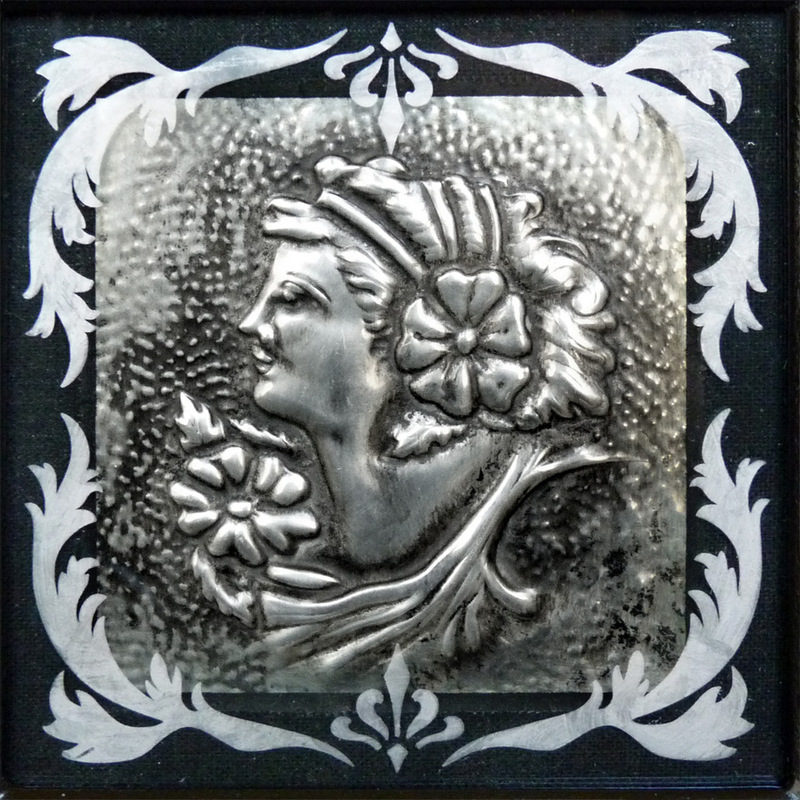 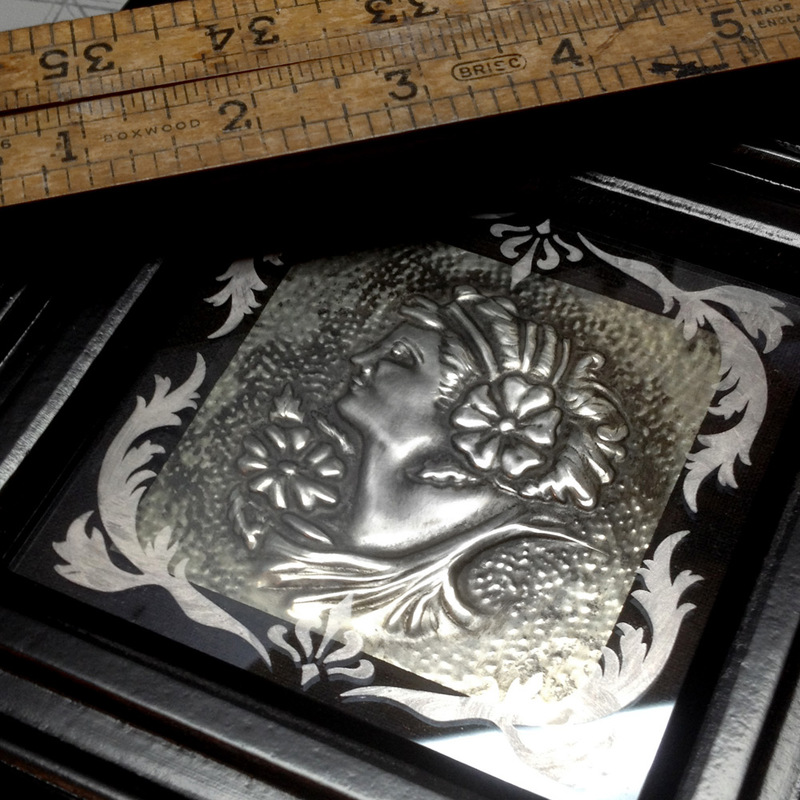 Frame: 16.5cm x 16.5cm x 2cm / 6.5" x 6.5" x .8"
Based on a vintage Art Nouveau era design of a woman’s face in profile with floral accents. 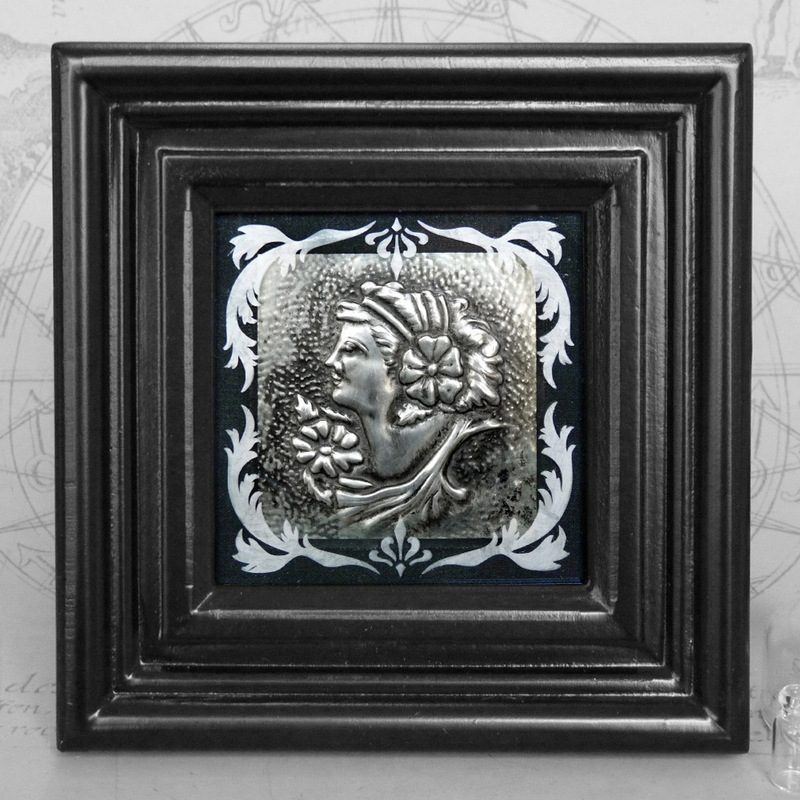 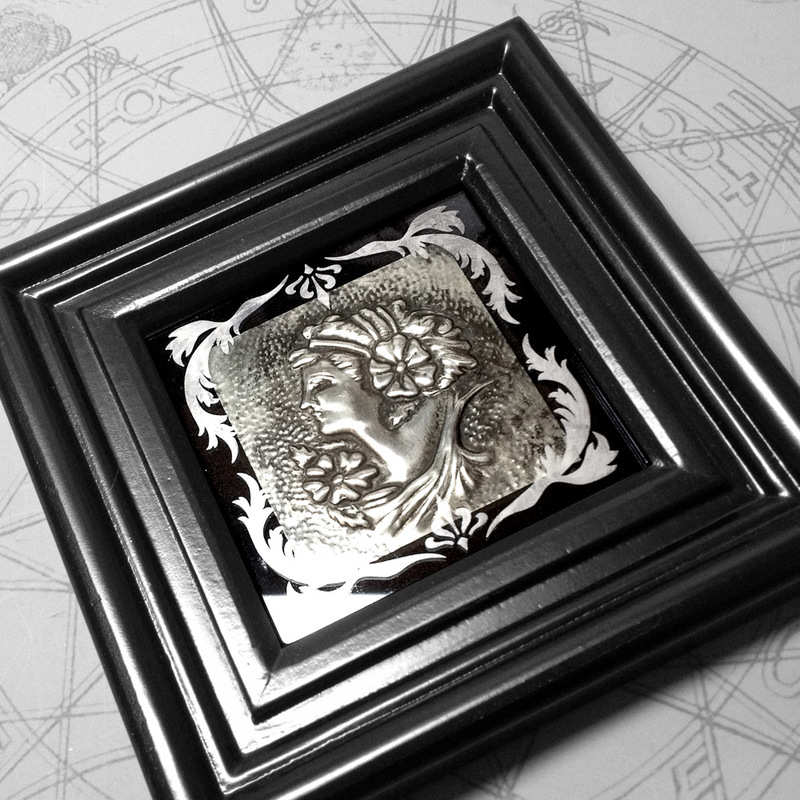 This piece is set behind a textured black mat, and on the glass in the front I have etched a design of twisting acanthus leaves and curved shapes, and I rubbed a pewter antiquing wax into the etching to bring it out. 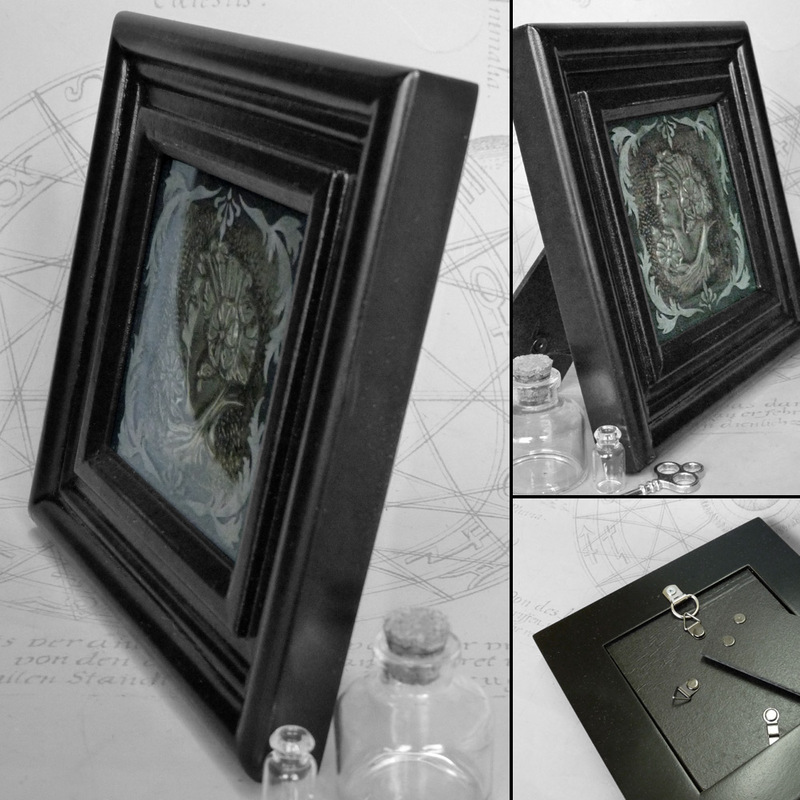 The piece is framed in a black wooden frame, there’s a hook for hanging and also a fold out stand so it can be placed on a flat surface.